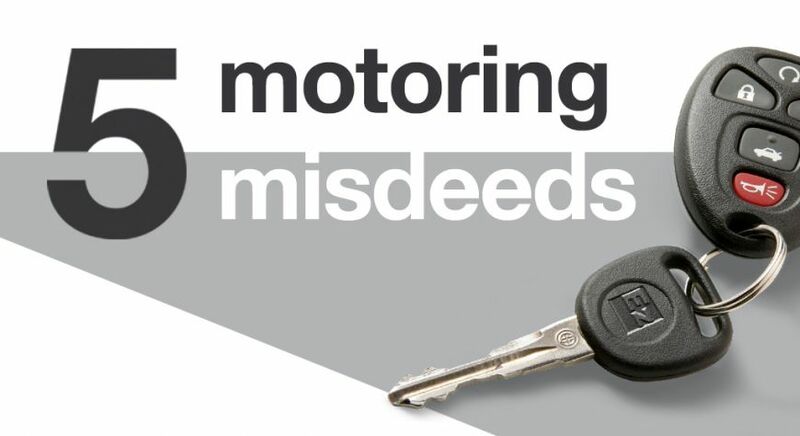 Five motoring misdeeds you didn’t know could land you with a fine and points! As a motorist, it can be easy to pick up a few bad habits over the years, but you’d be forgiven for not having a good look at the Highway Code on a regular basis. It’s a situation many will be familiar with. You’re halfway through a long journey and when you stop at the services for some food you’re asked if you want to eat in or take away. You’re in a hurry, so you take it with you and start eating it as you pull back on to the motorway. While this will save you a few minutes, it also means you’re driving without due care and attention – and that can land you with up to nine points as well as severe financial penalties. Section 3 of the 1988 Road Traffic Act states that driving “without reasonable consideration for other persons using the road” is an offence. The act rightly considers pedestrians to be road users, and driving through a puddle without looking to see if there’s anyone on foot and in the firing line can result in a fixed penalty posted through your door. Being a cautious road user is – in most cases – quite a good thing. However, it’s possible to drive too slowly in the eyes of fellow road users – and, more importantly, the law. In general, you are only supposed to use your horn to make other drivers aware of your vehicle’s presence. However, regardless of the circumstances, using your horn between 11.30pm and 7am in a built-up area can leave you liable to be fined up to £1,000. Your number plate needs to be clean, or at the very least legible. Even if sections of it are obscured you’ll be liable for a £1,000 fine – and your car could even fail its MOT if it has an illegible number plate. Like the look of our Range Rover Evoque? See the link below for the ones we have in stock!